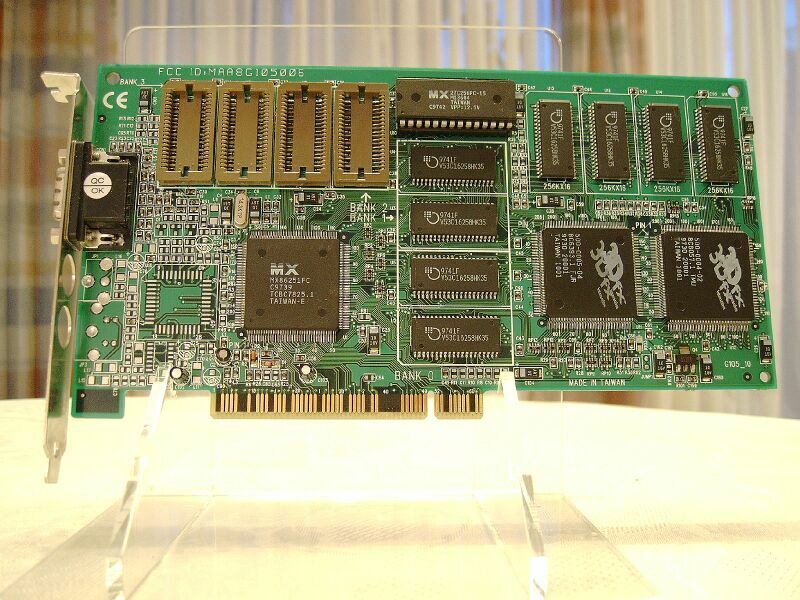 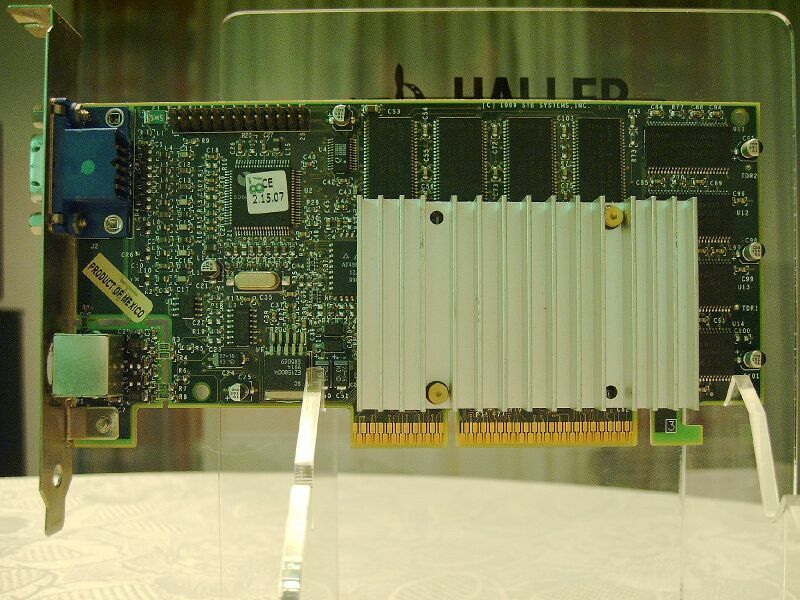 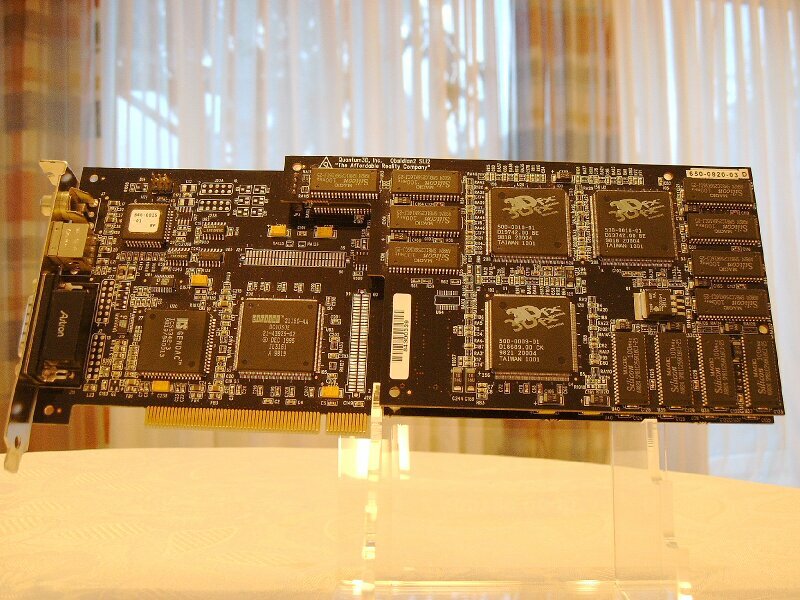 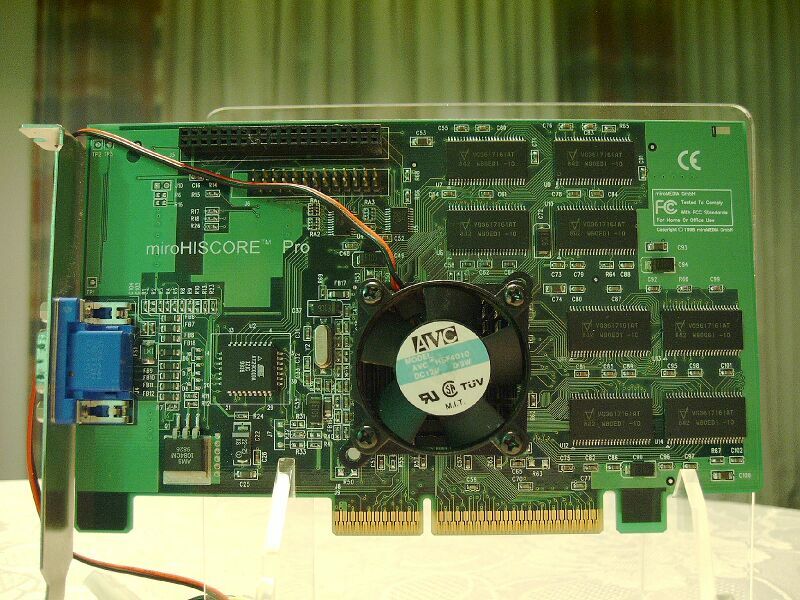 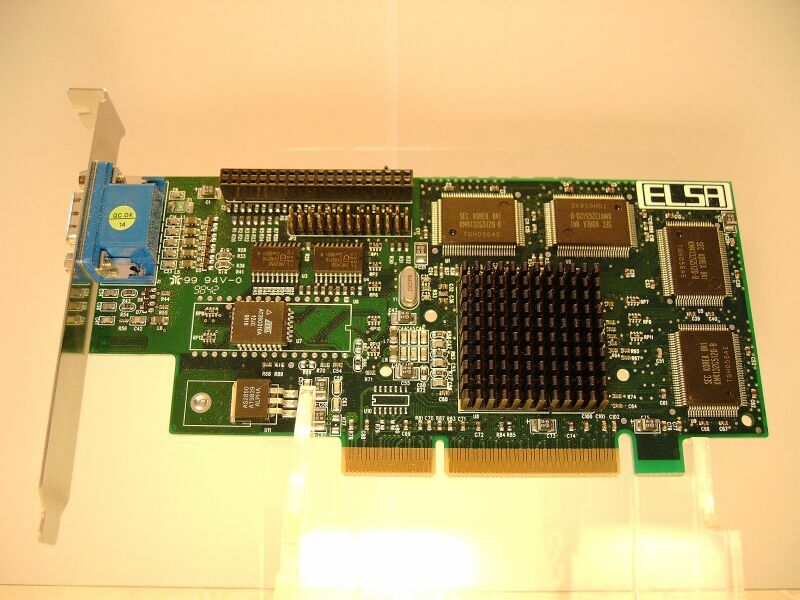 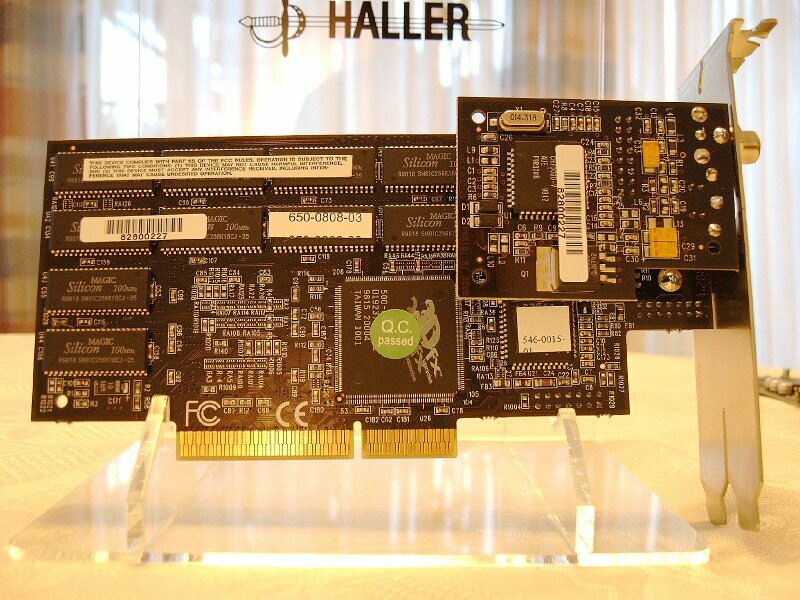 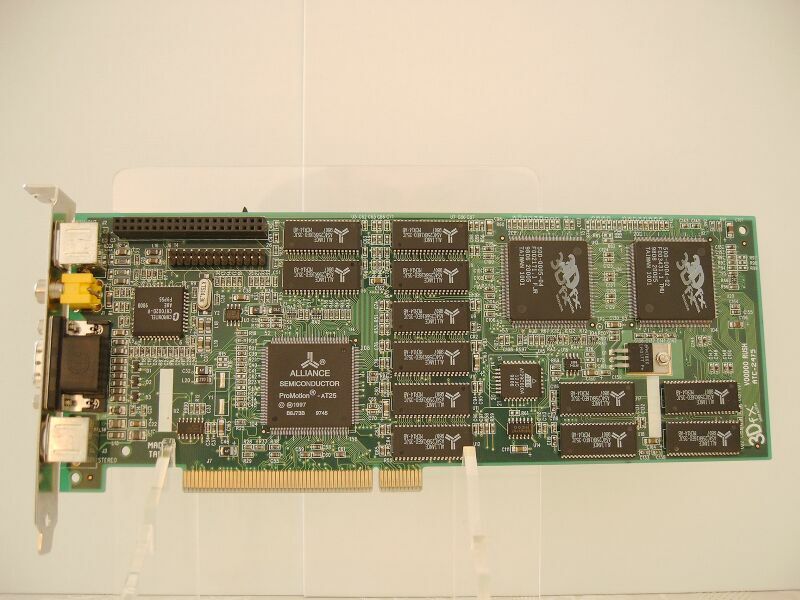 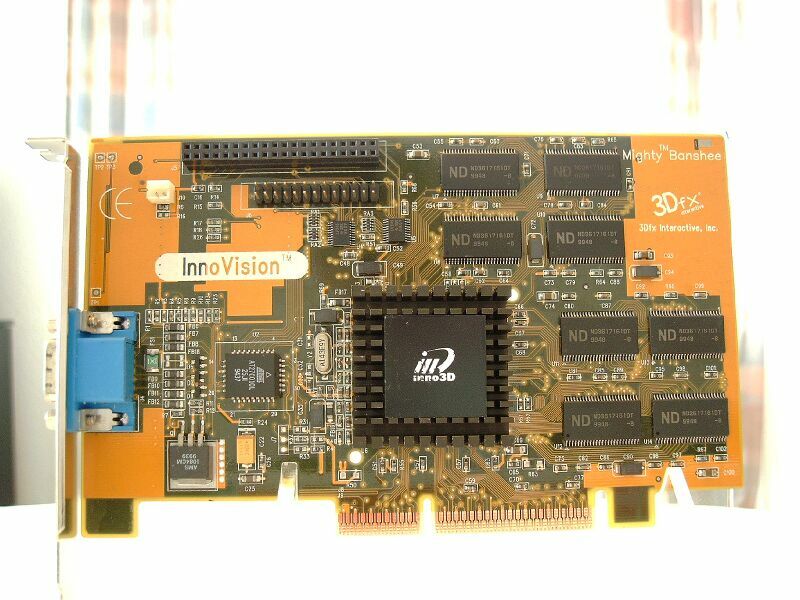 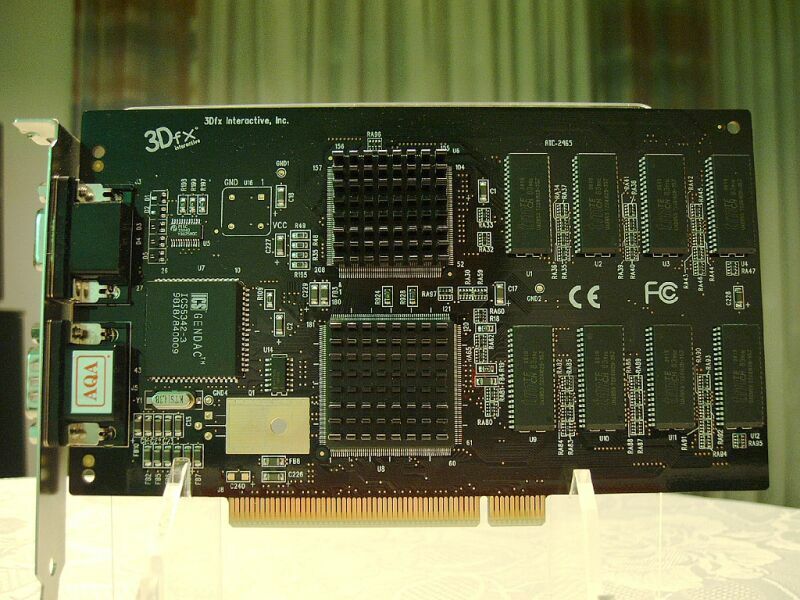 It was designed for users unfamiliar to 3dfx Hardware, who have only Markings or Numbers on the Hardware as reference. 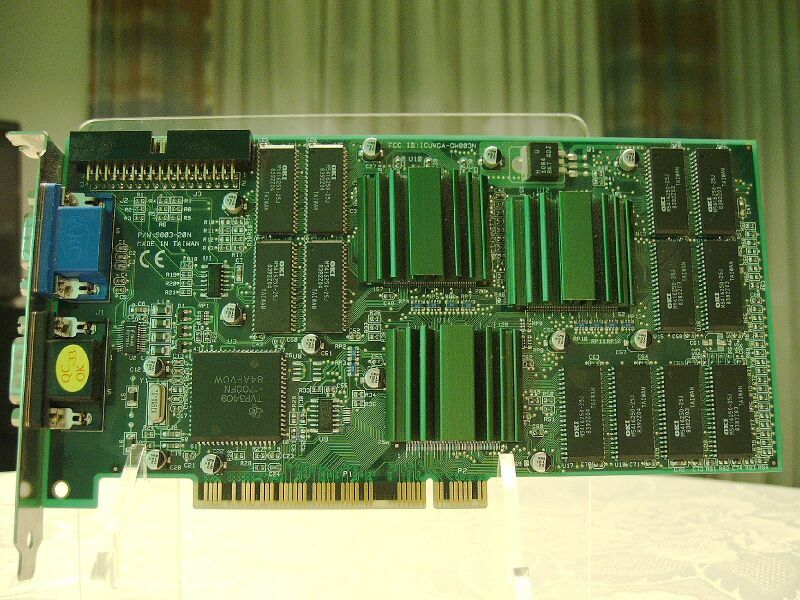 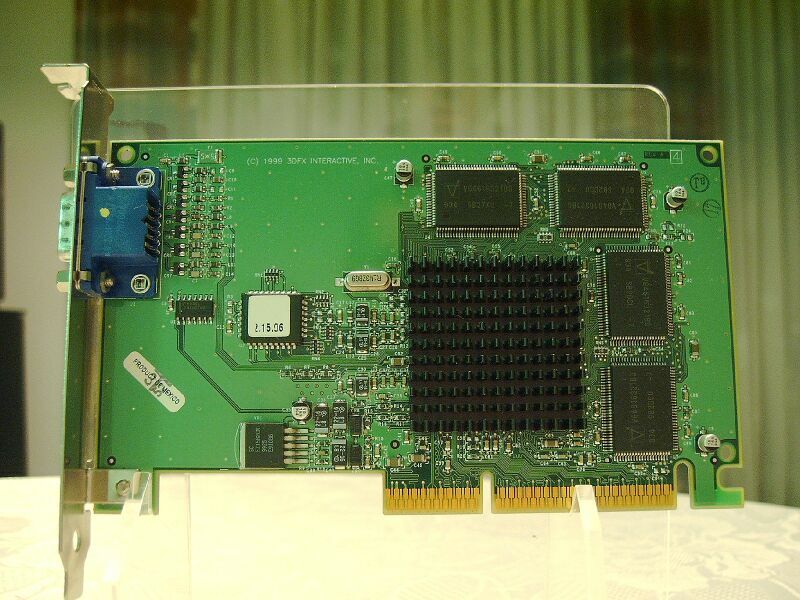 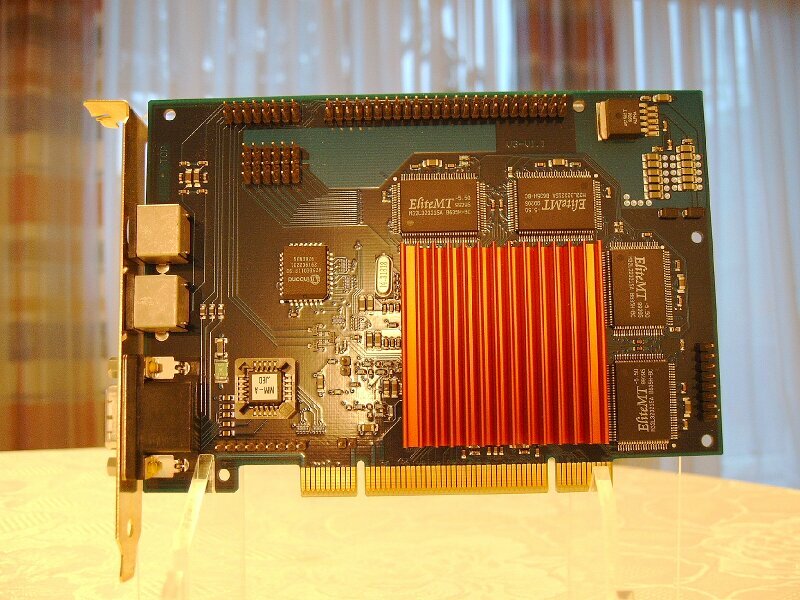 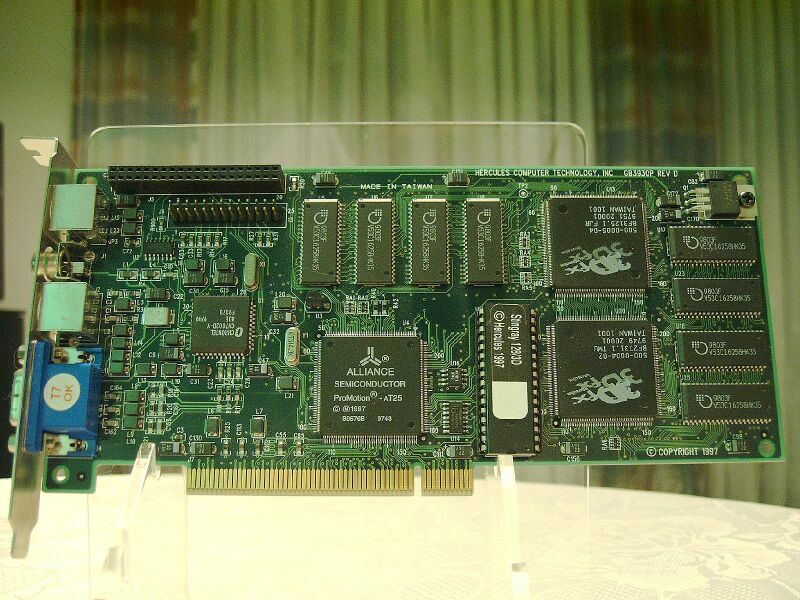 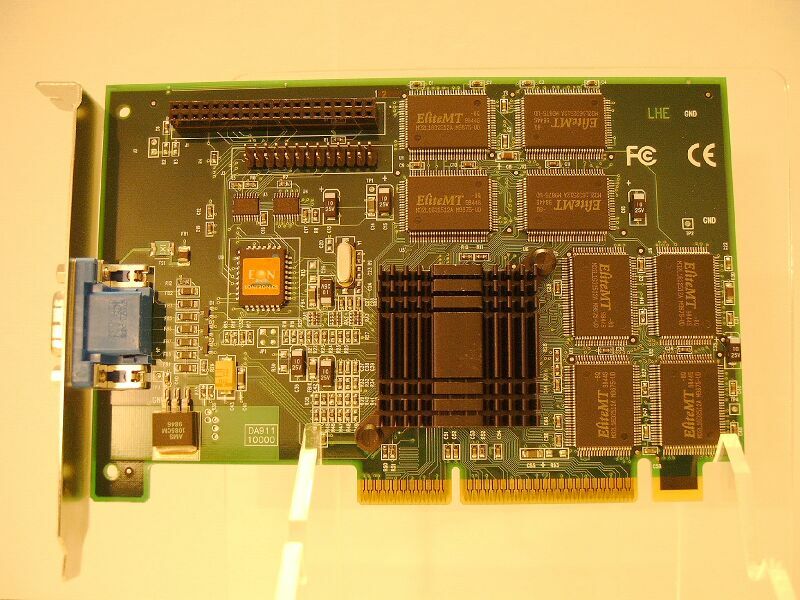 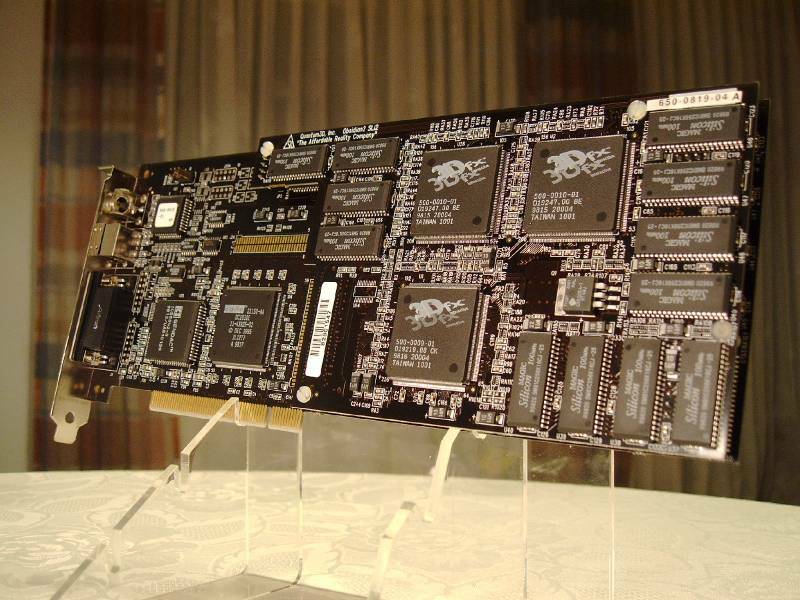 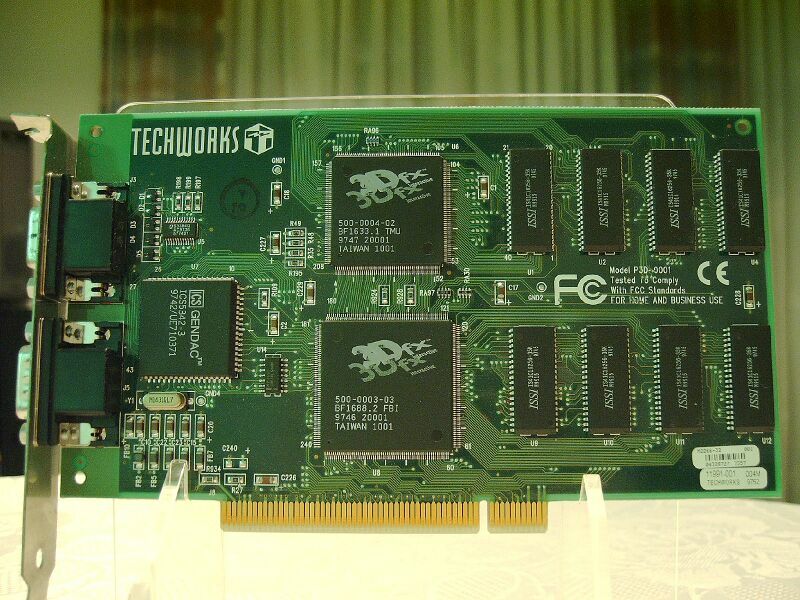 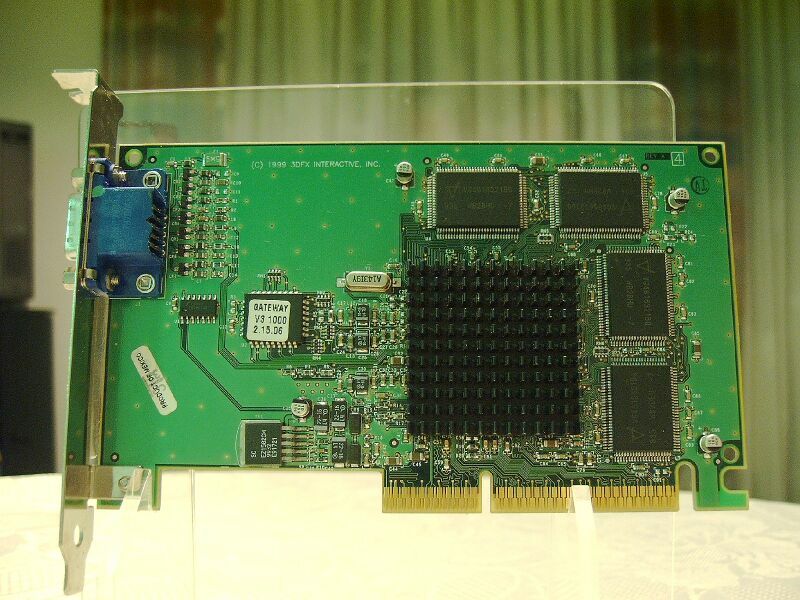 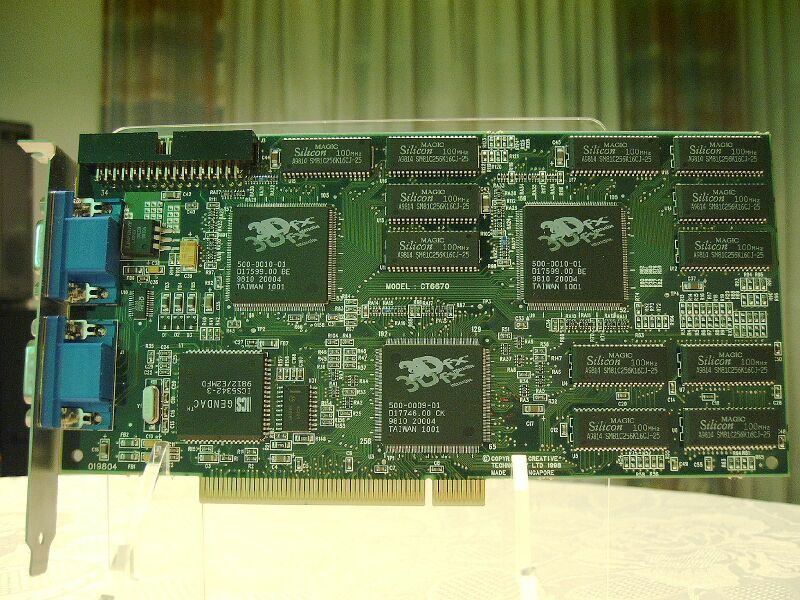 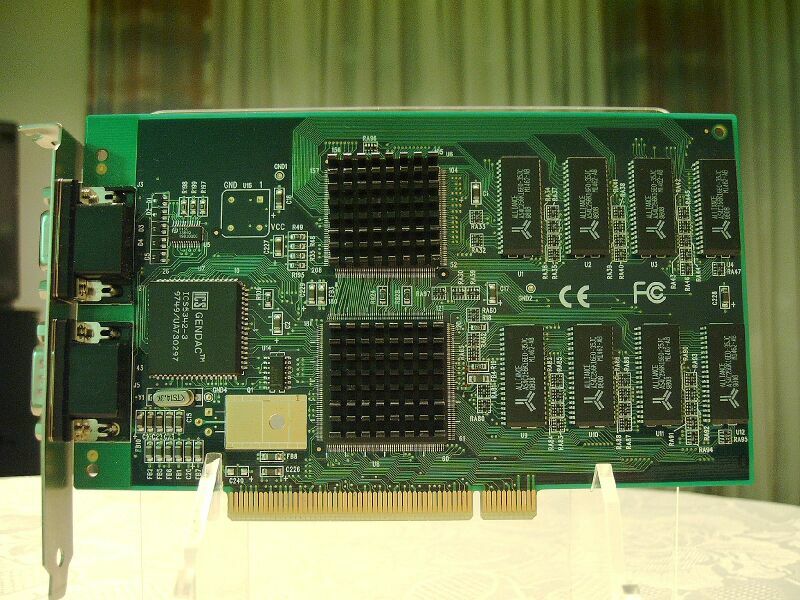 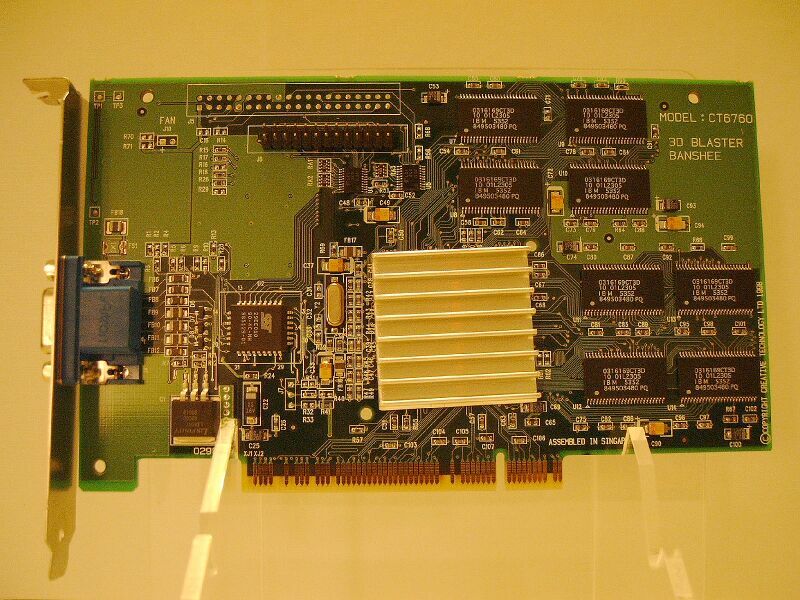 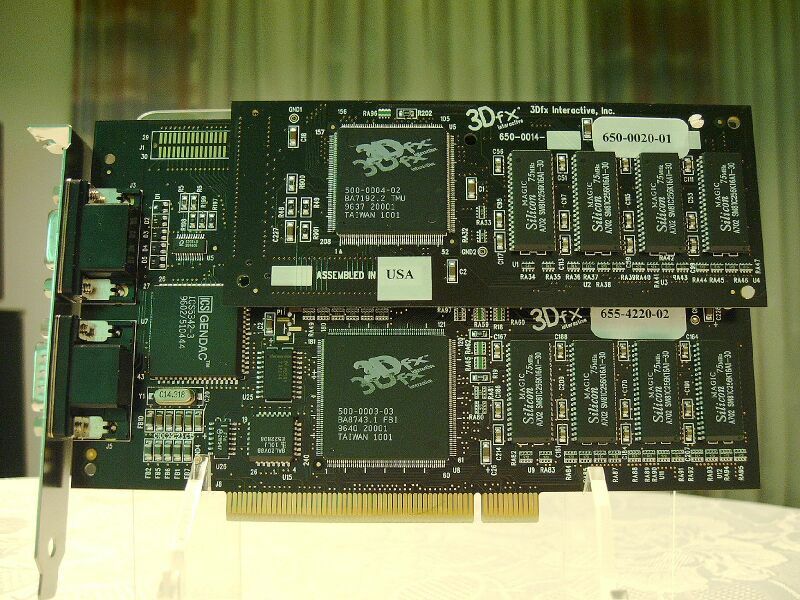 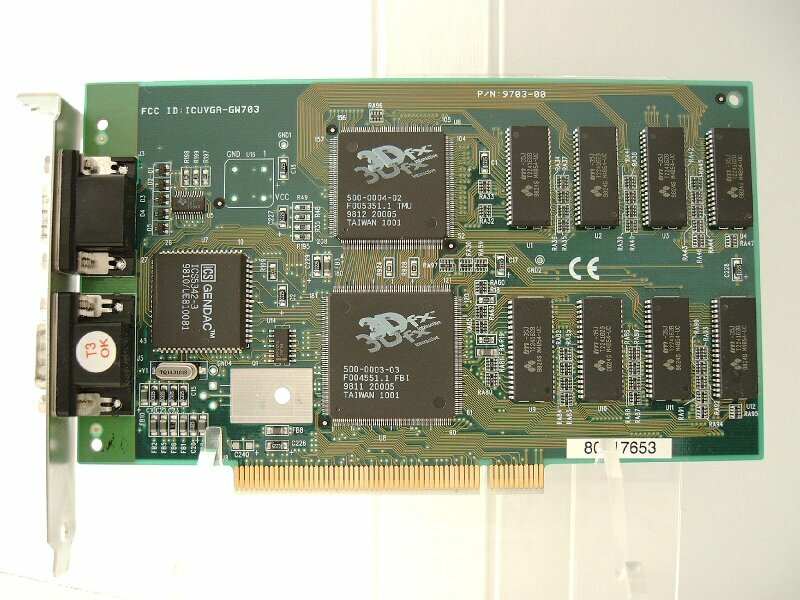 Marking (c)1999 STB SYSTEMS, INC. (imprinted on PCB) is a common Marking on 3dfx Voodoo3 Cards. 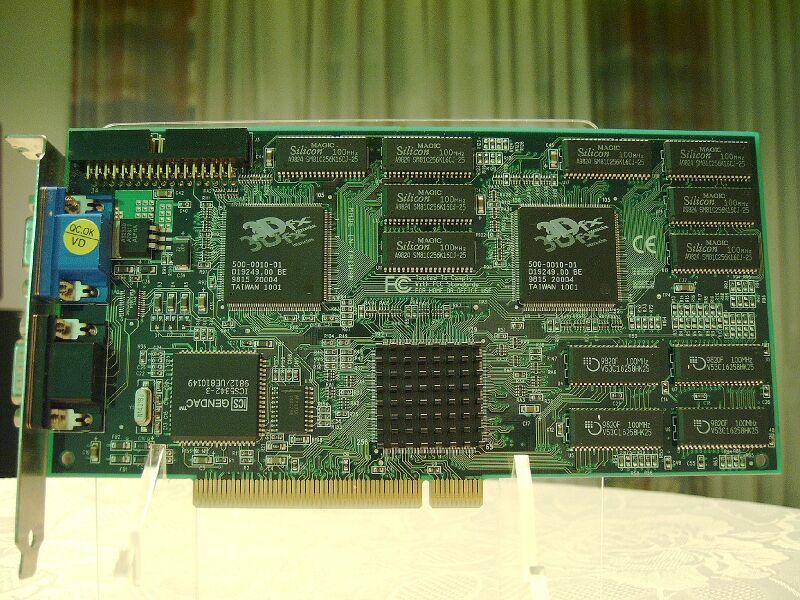 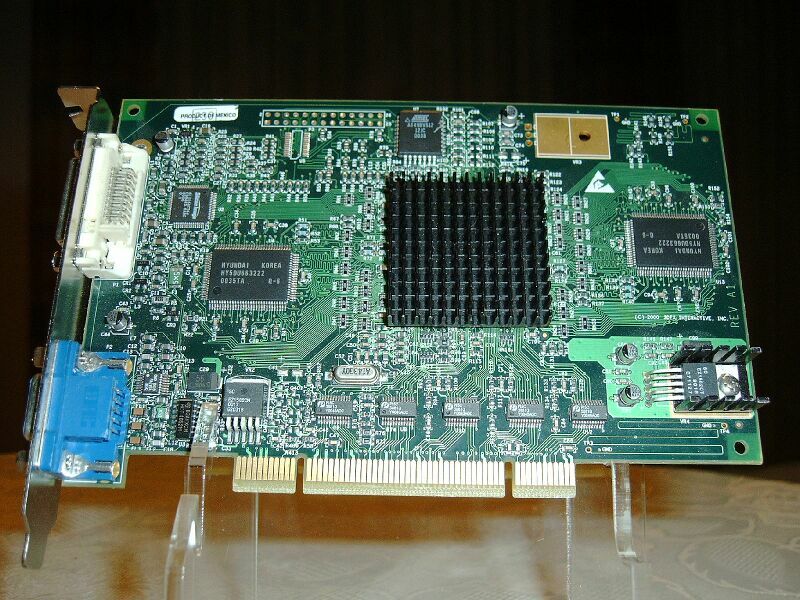 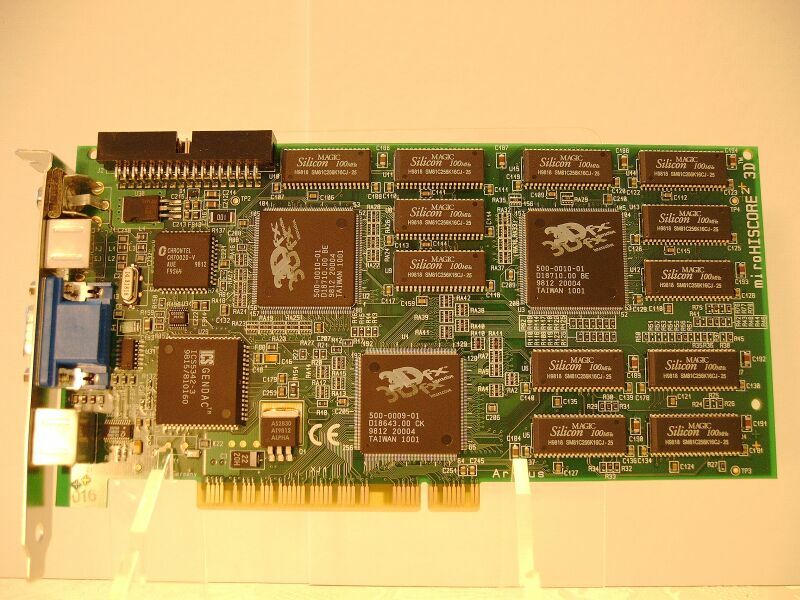 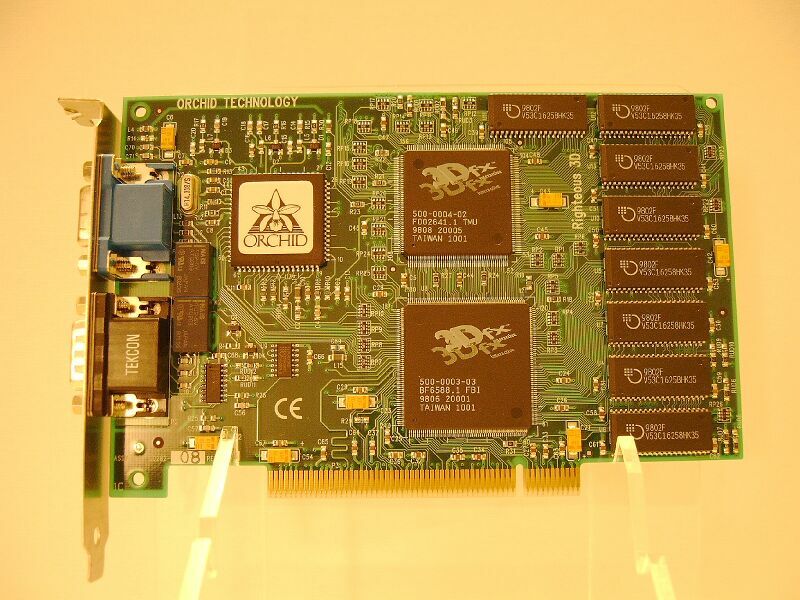 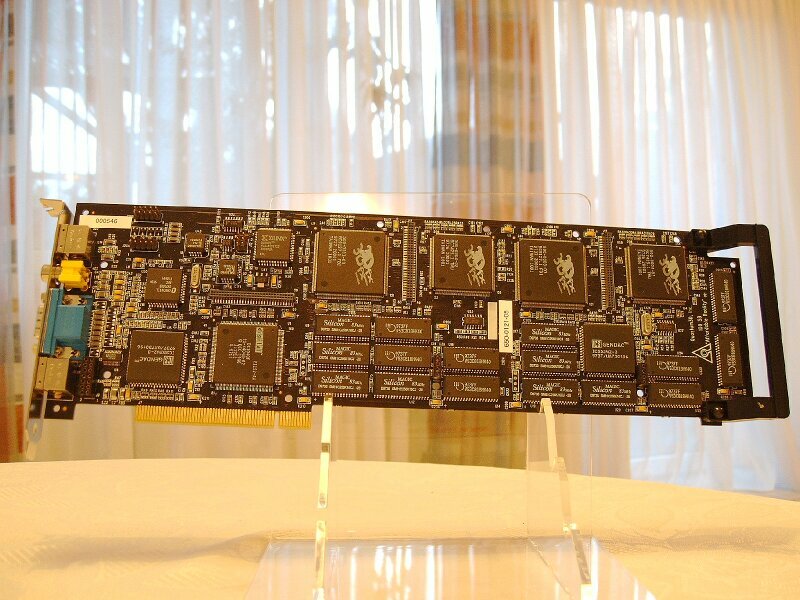 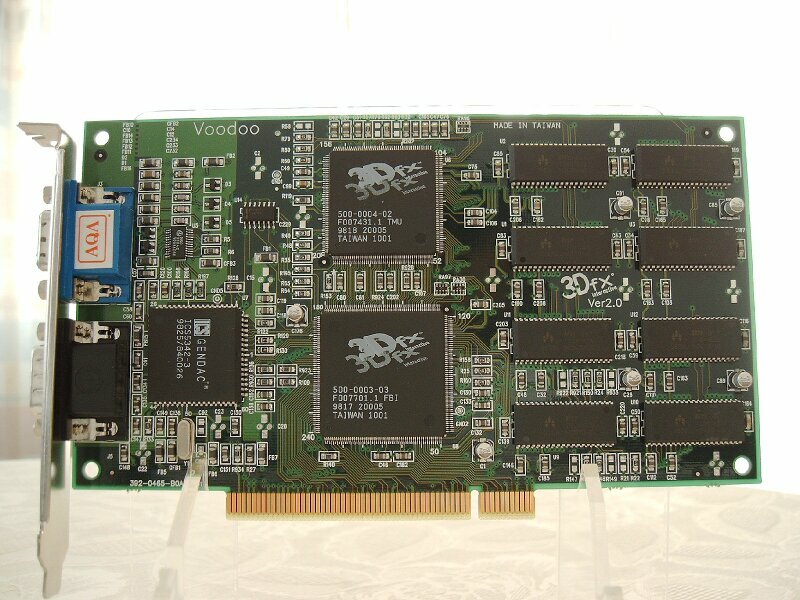 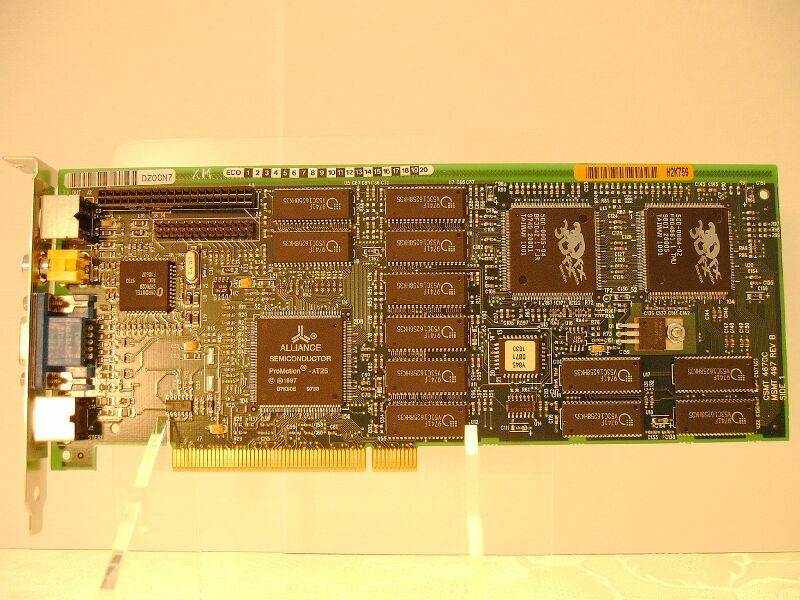 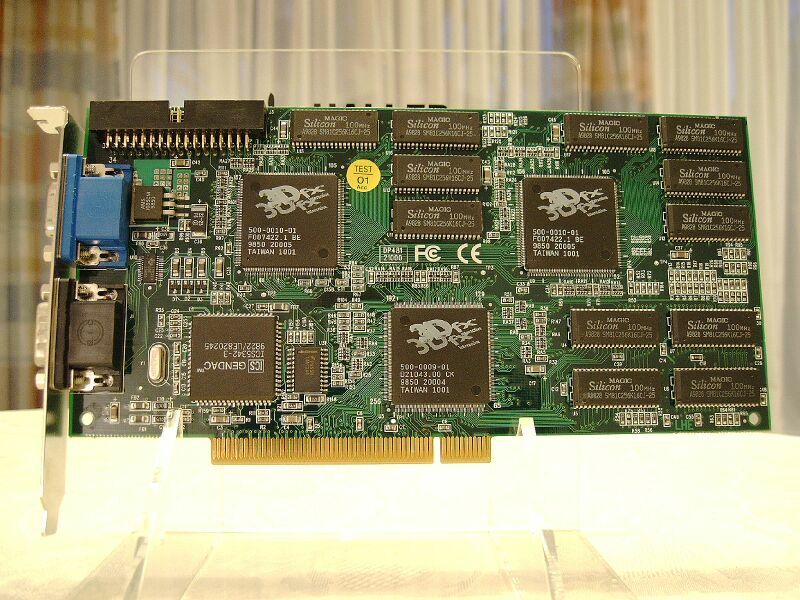 Marking (c)2000 STB SYSTEMS, INC. (imprinted on PCB) is a common Marking on 3dfx Voodoo4/5 Cards. 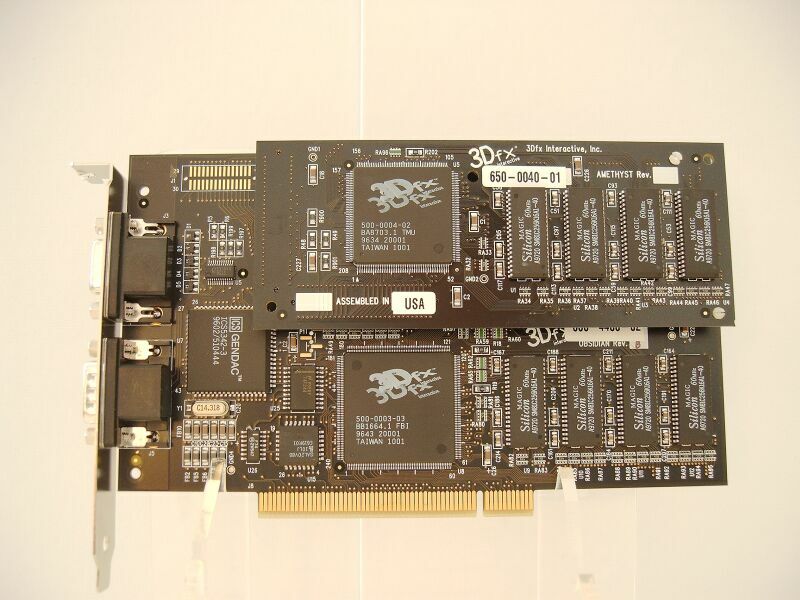 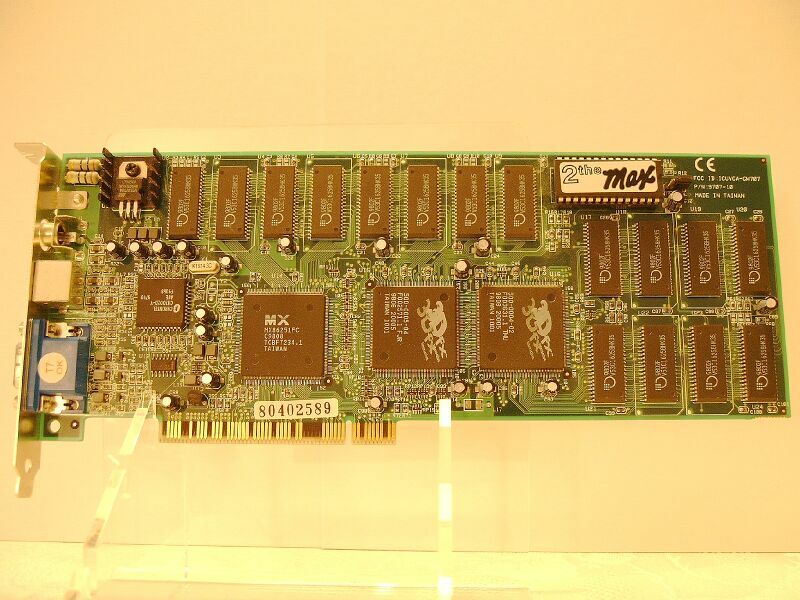 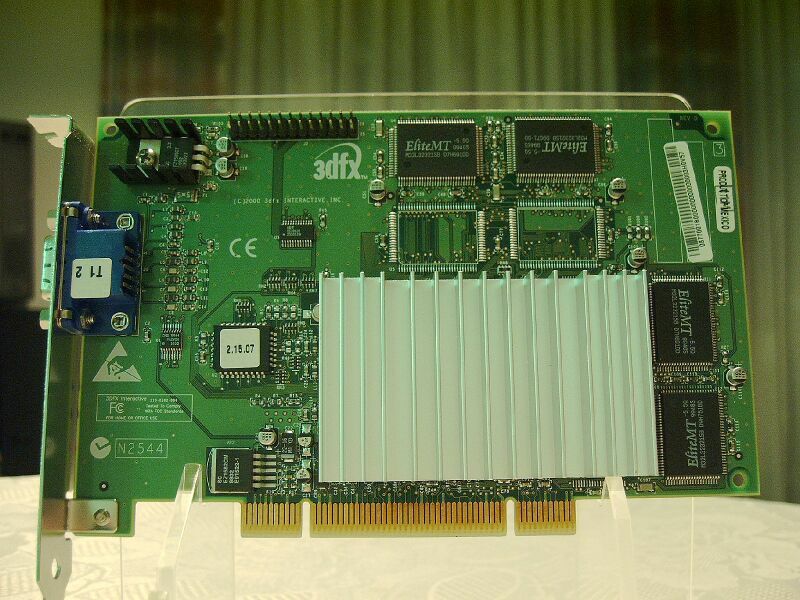 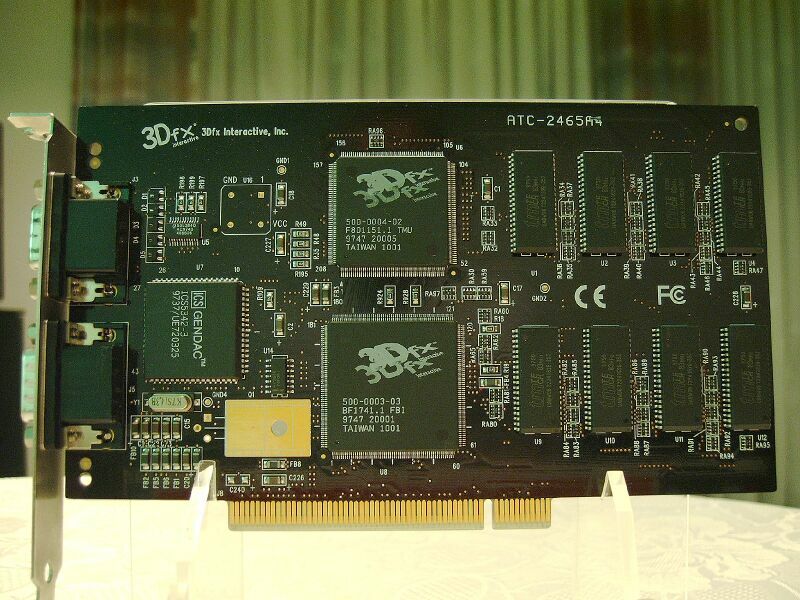 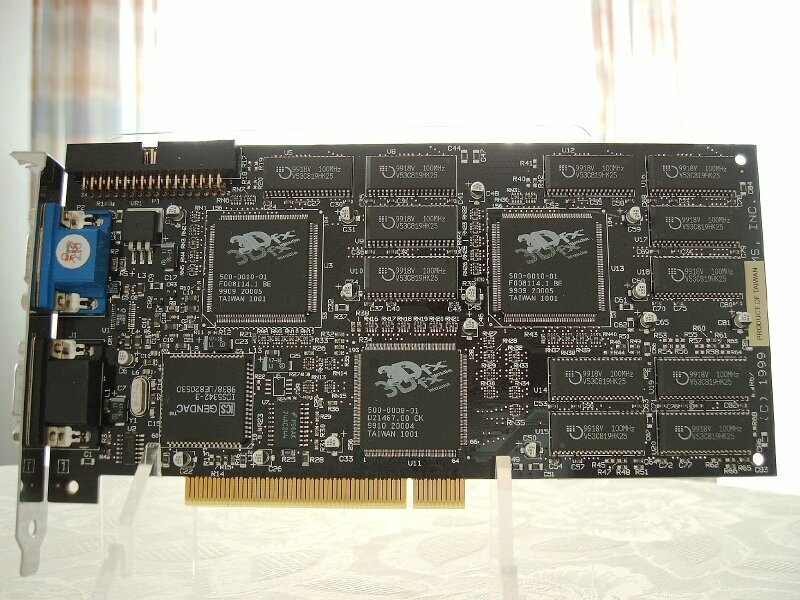 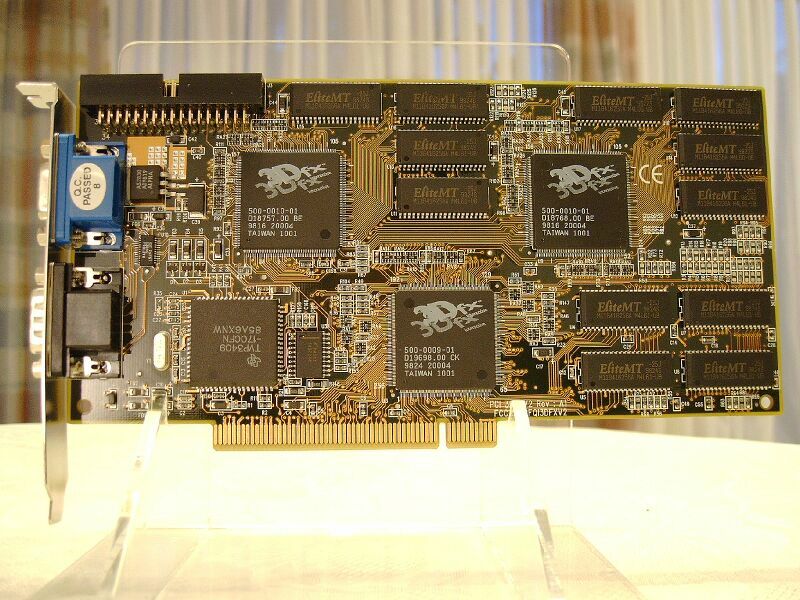 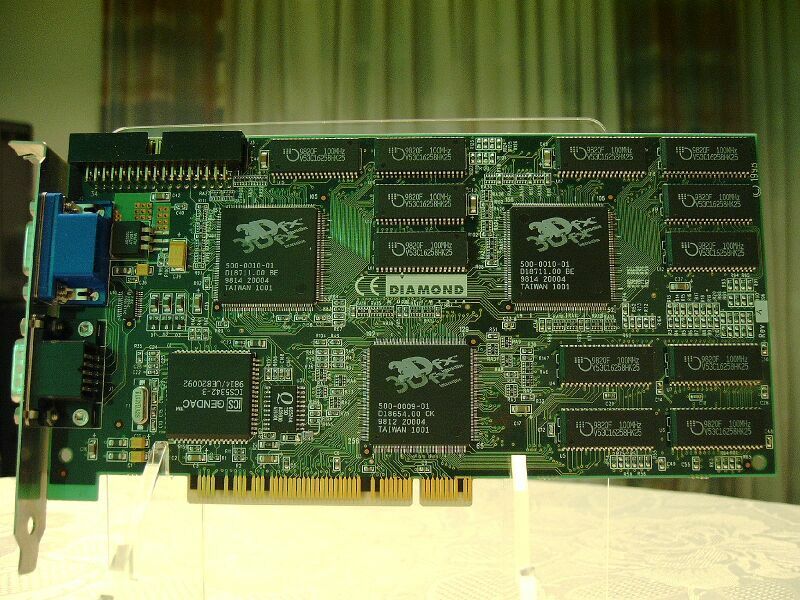 Sticker Product of Mexico is a common Marking on 3dfx Voodoo3/4/5 Cards. 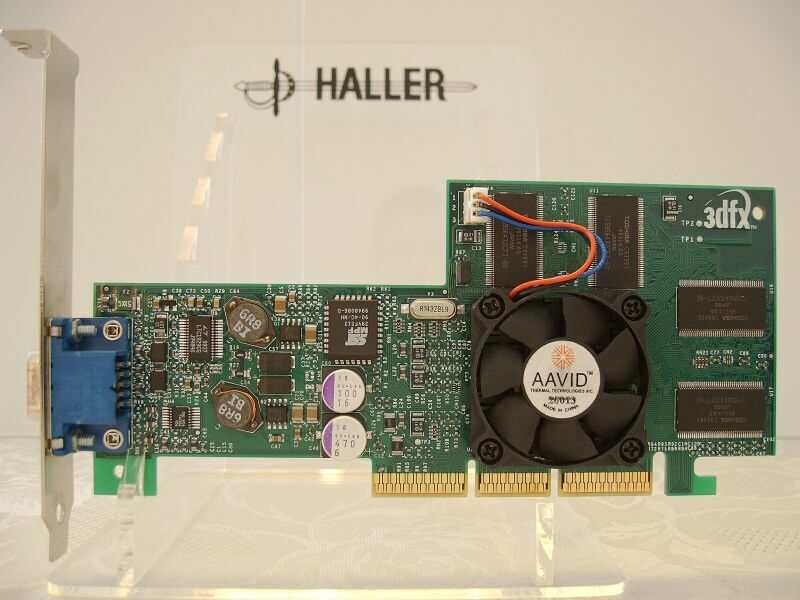 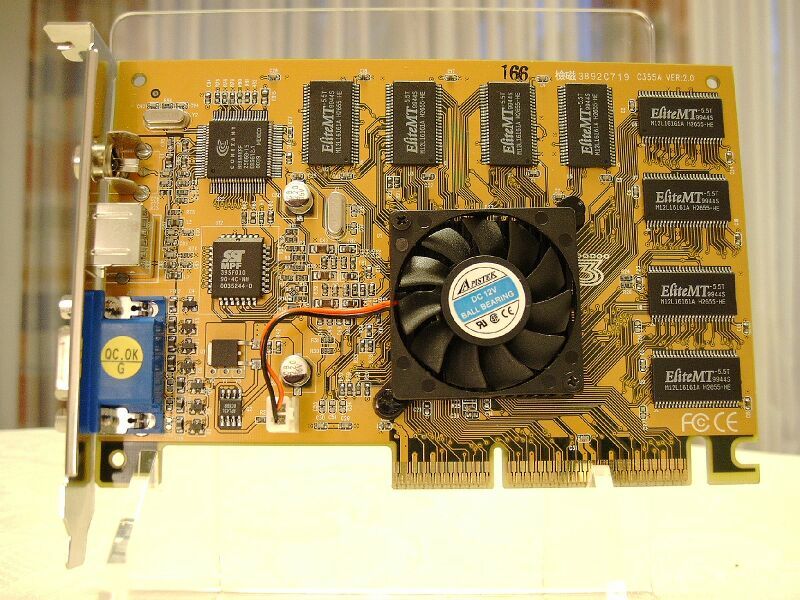 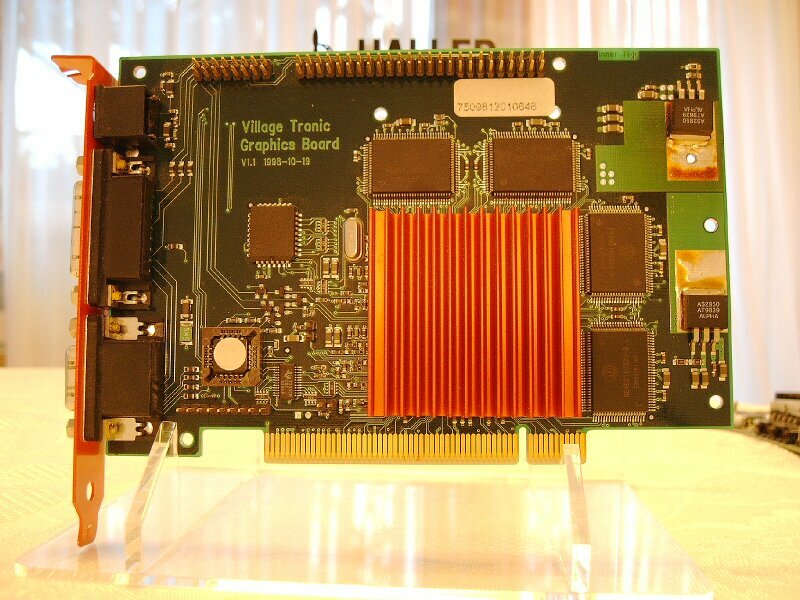 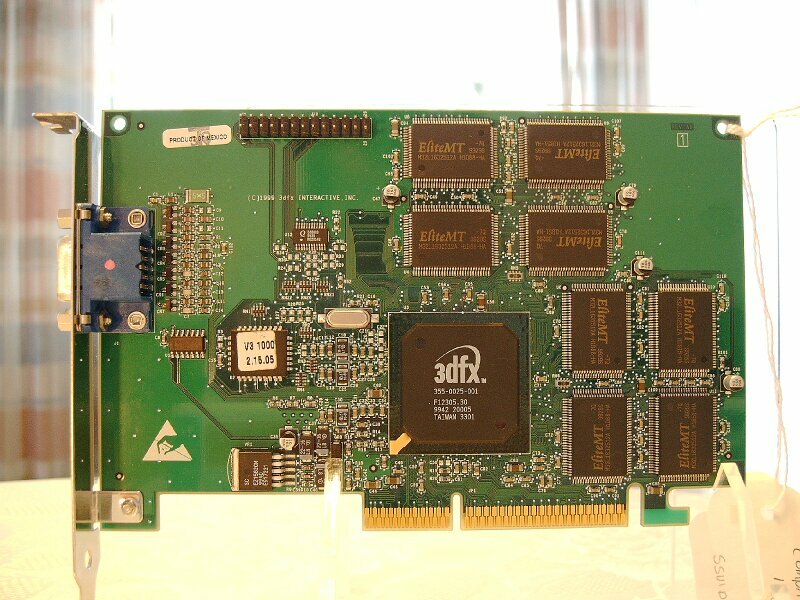 Label AAVID on Heatsink Fans is commonly found on 3dfx Voodoo4 and Voodoo5 Cards. 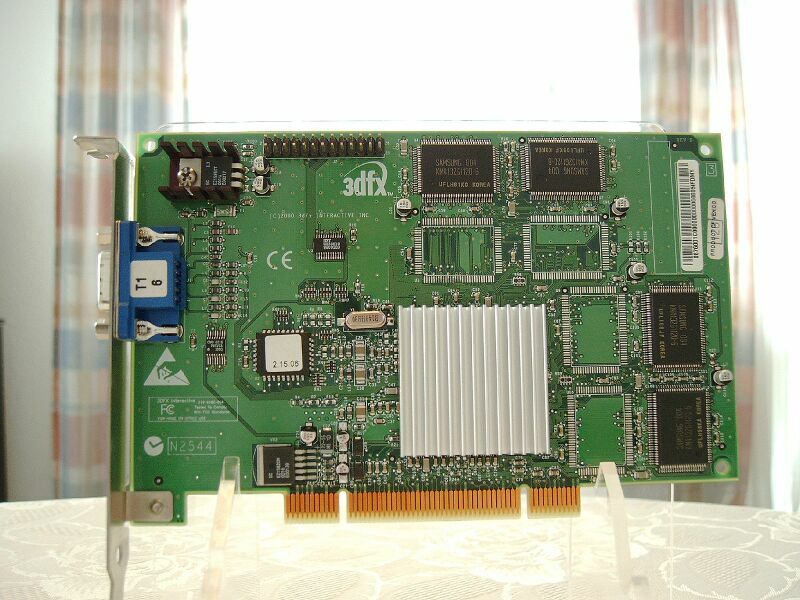 Slogan "Affordable Reality" / "The Affordable Reality company" are only found on Quantum3D Cards, usually with the company Logo. 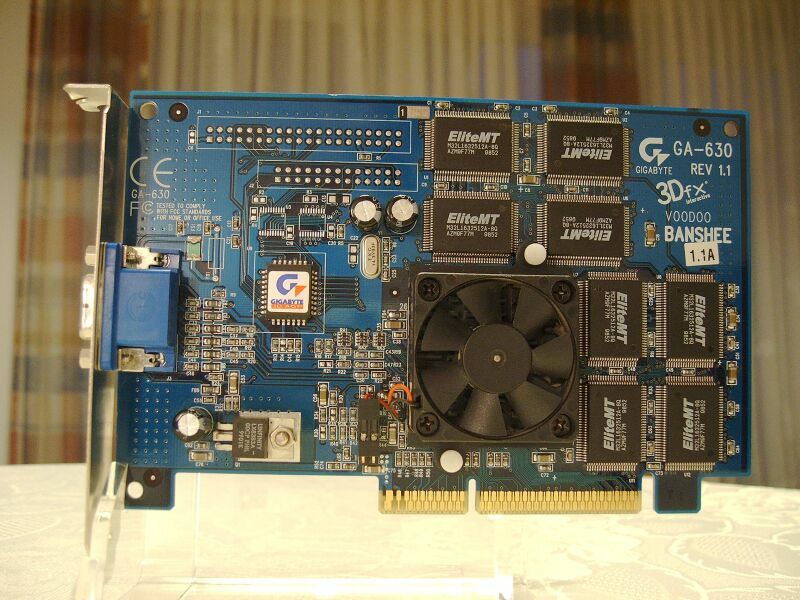 All Banshee, Voodoo3 and Voodoo5 AGP Cards are 2xAGP 3.3V only! 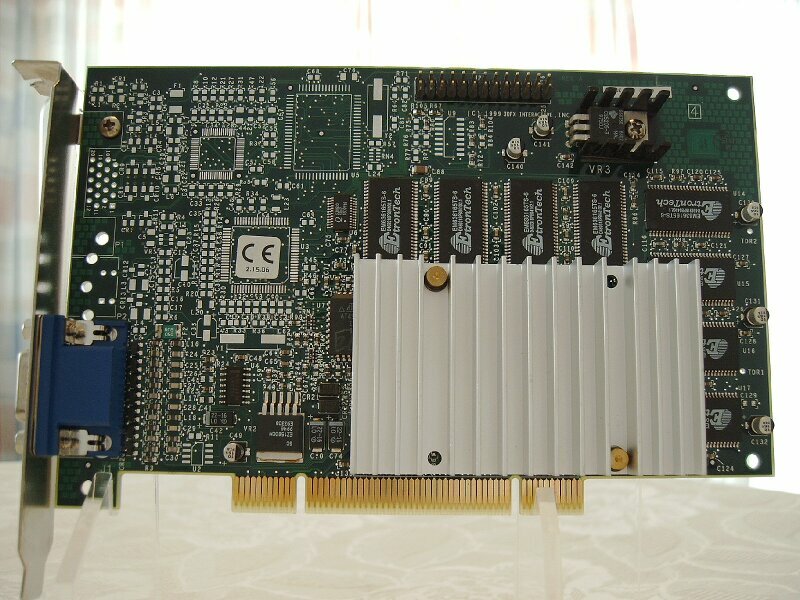 Do not use in modern 4x/8x AGP 1.5V only Motherboards! 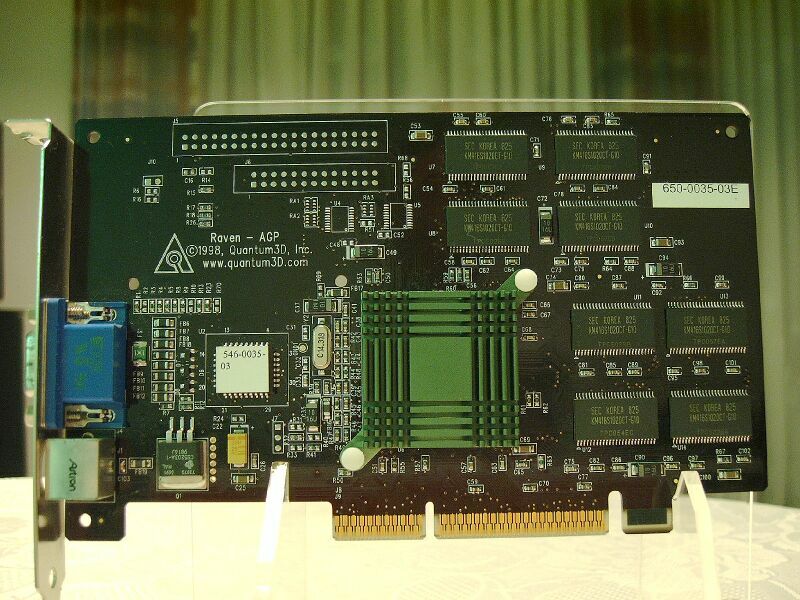 Failure to comply can cause damage to both the Card and the Motherboard! 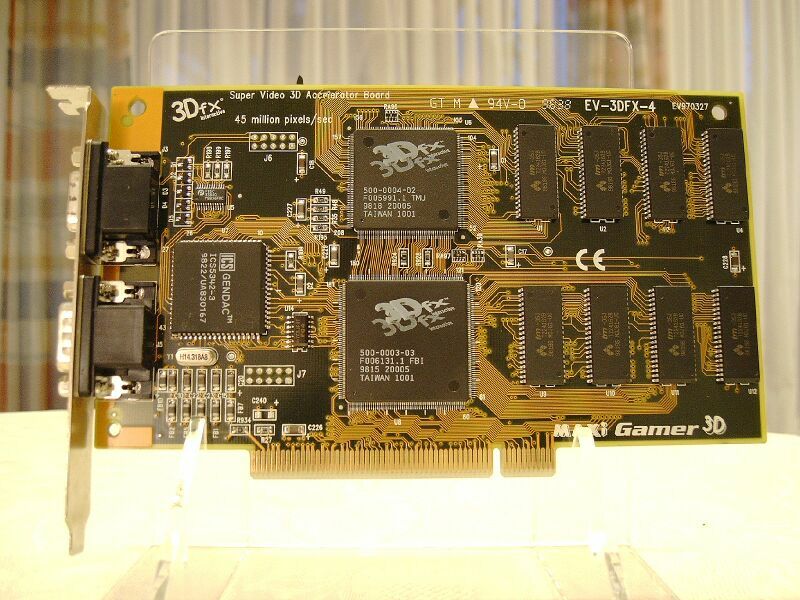 Consult your Motherboard manual for 2xAGP 3.3V support before use! 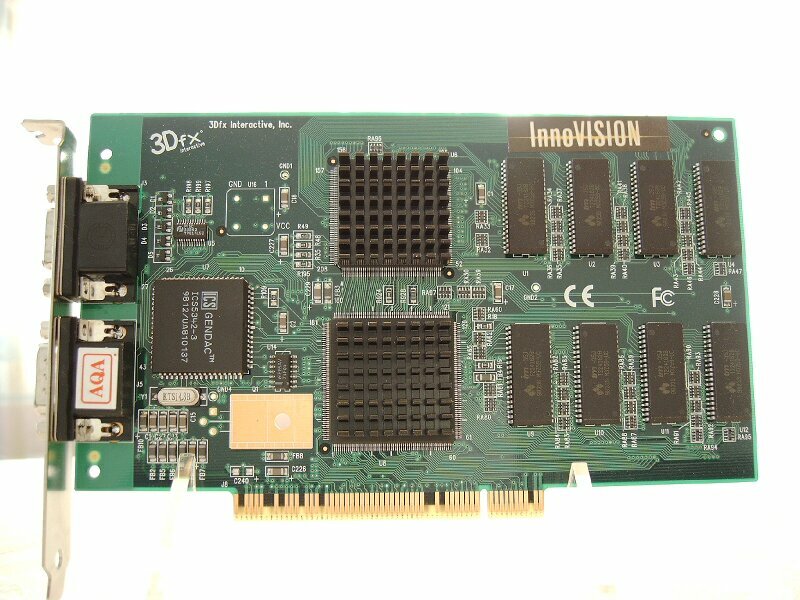 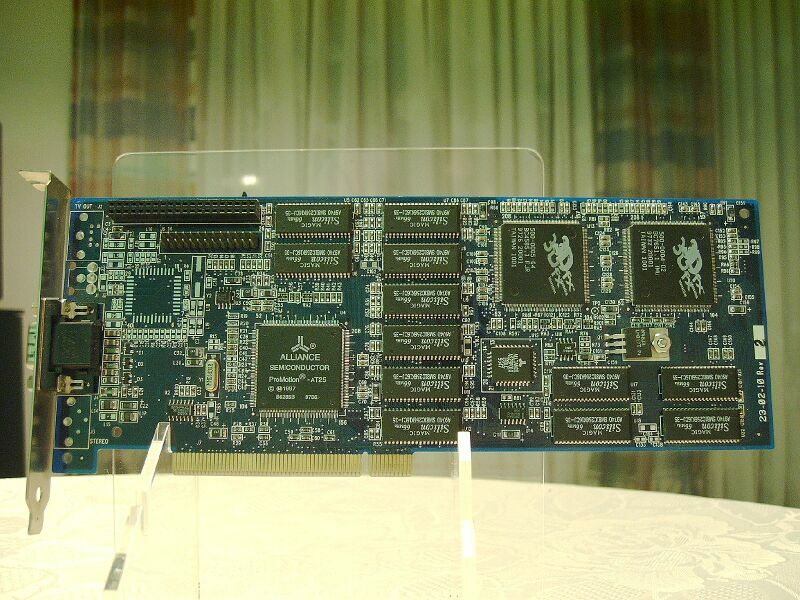 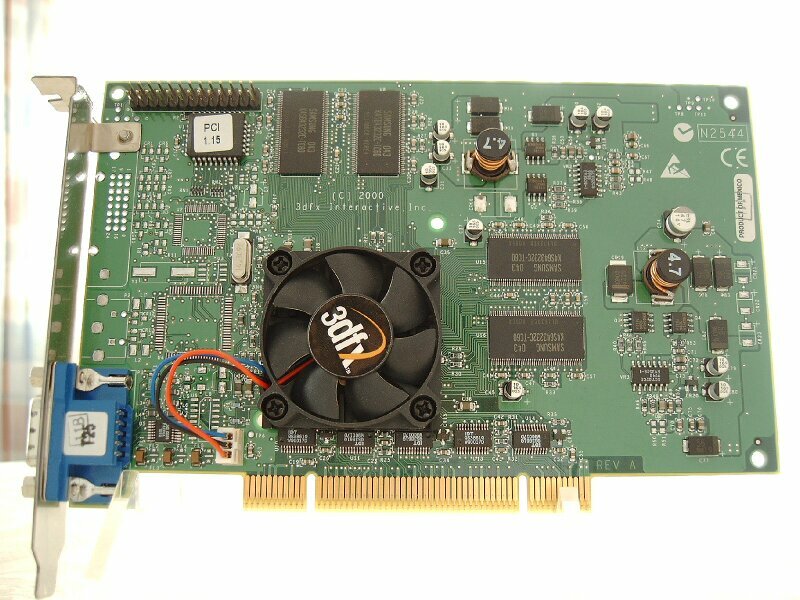 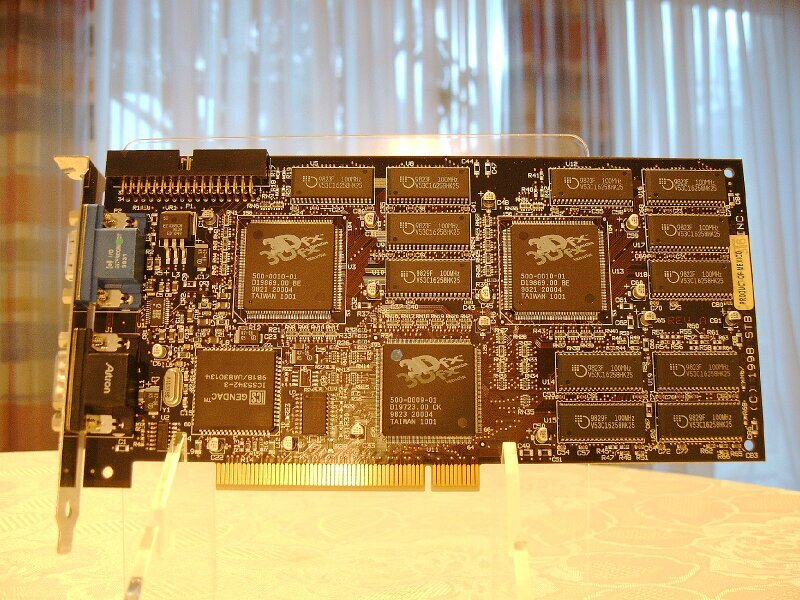 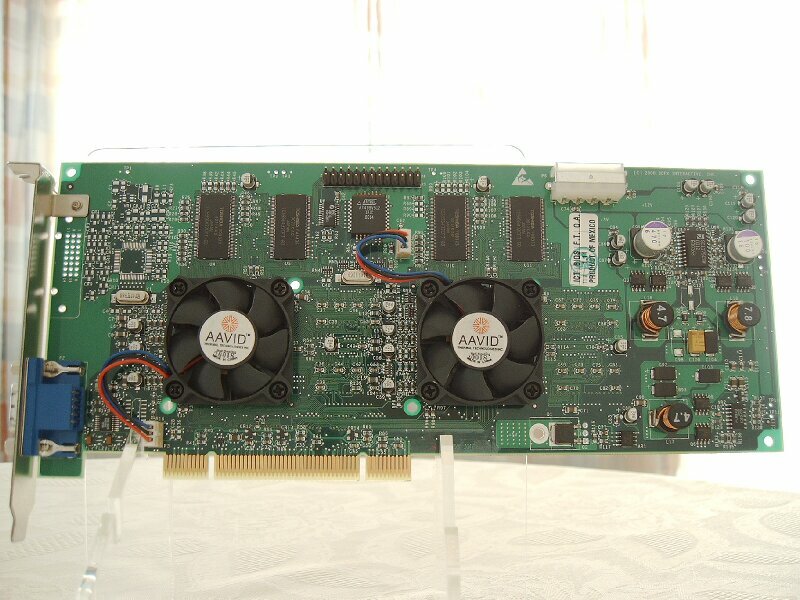 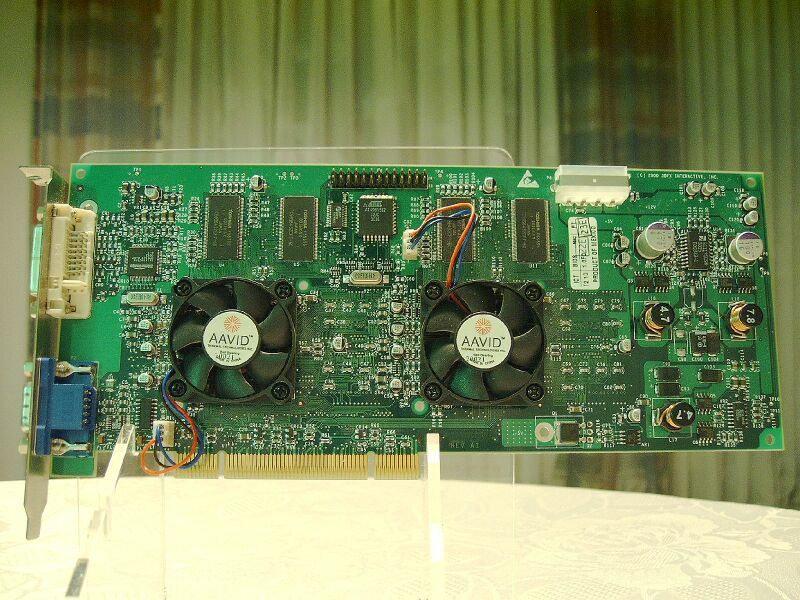 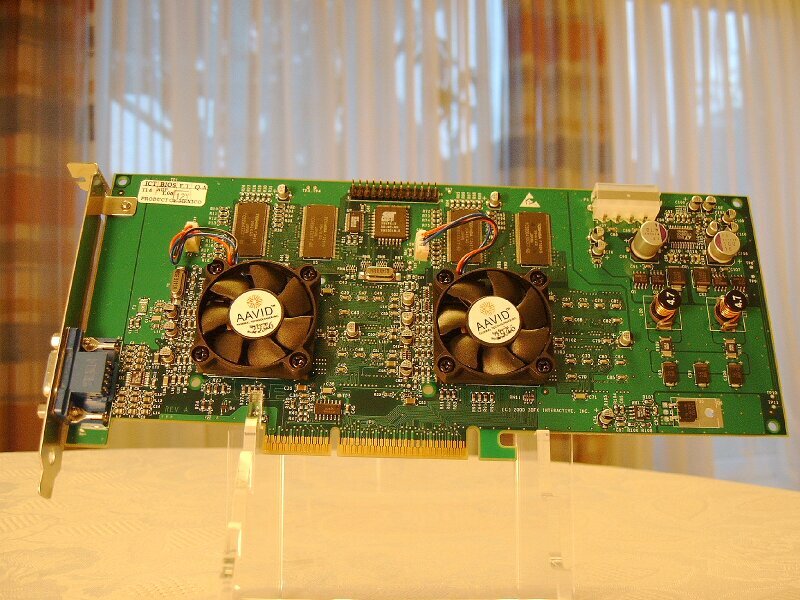 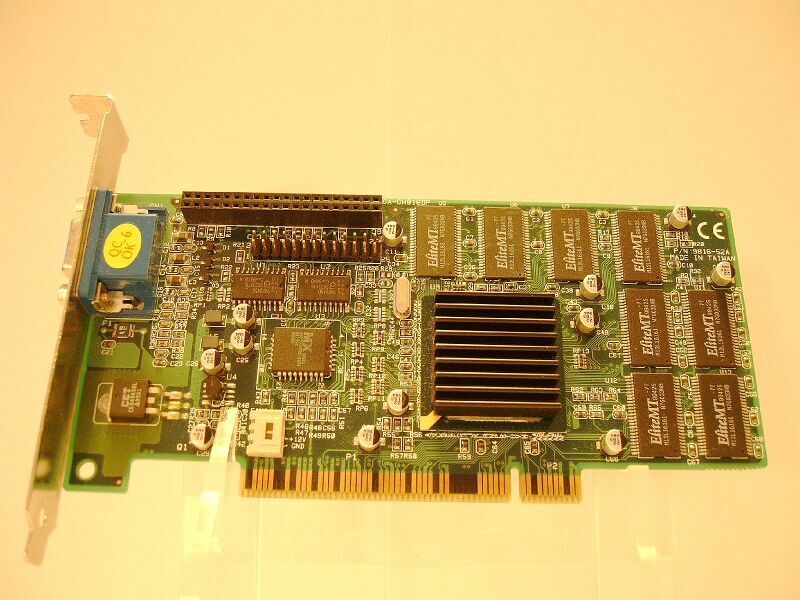 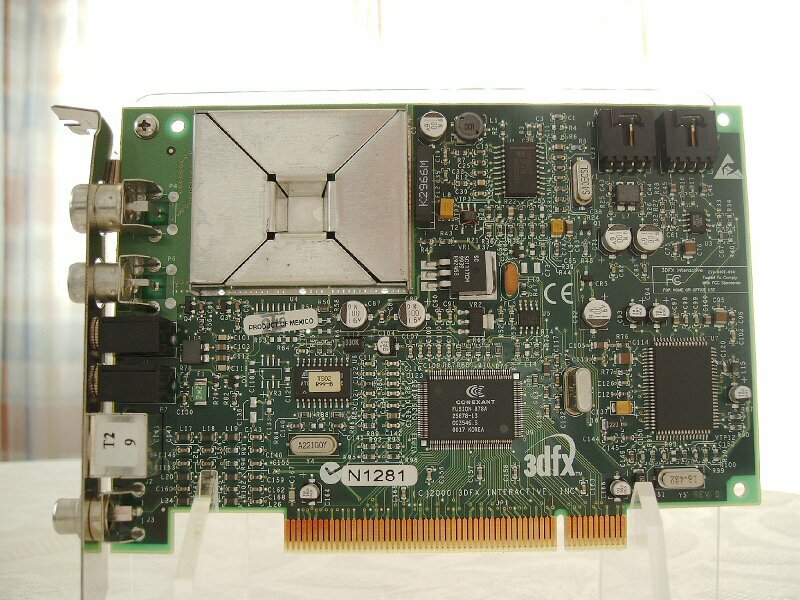 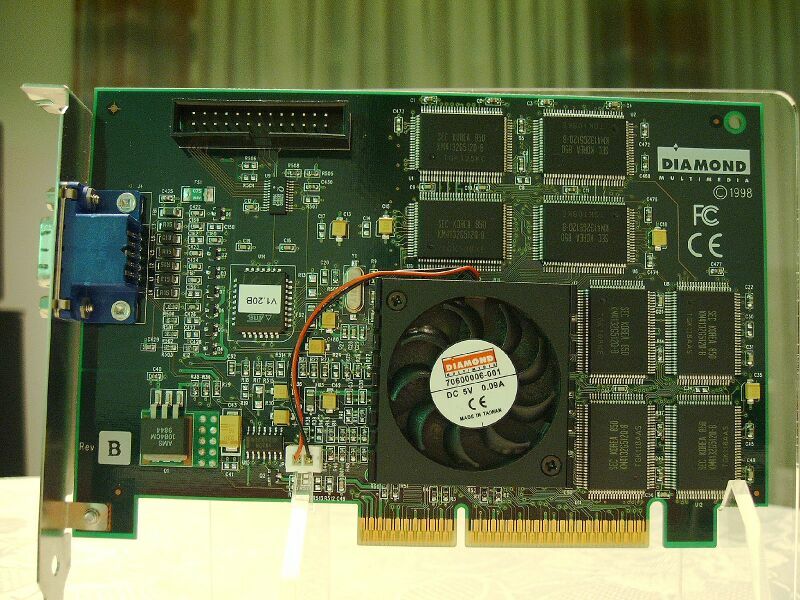 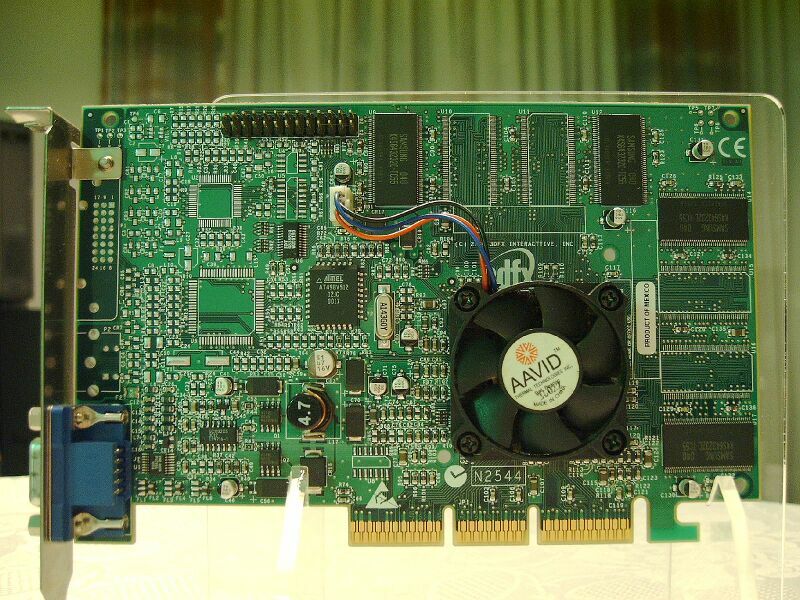 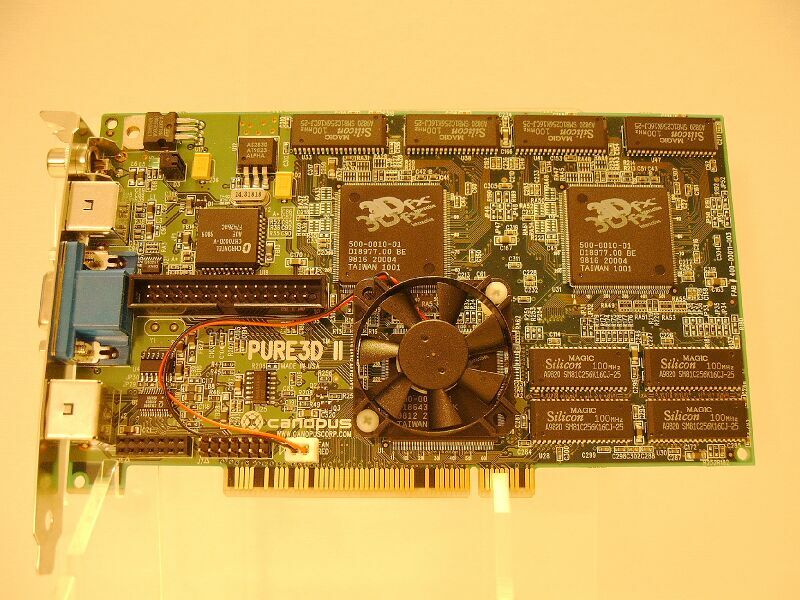 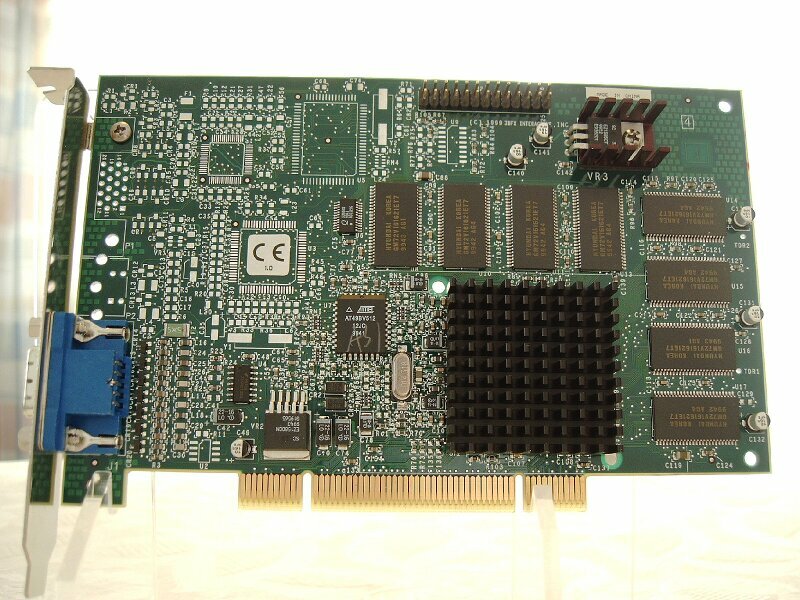 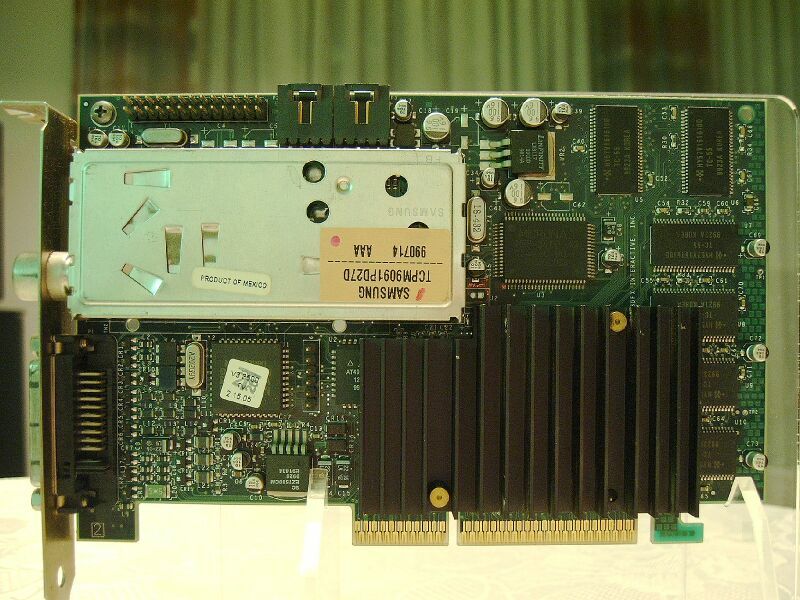 Only the retail 3dfx built Voodoo4 4500 AGP is 4xAGP 1.5V capable. 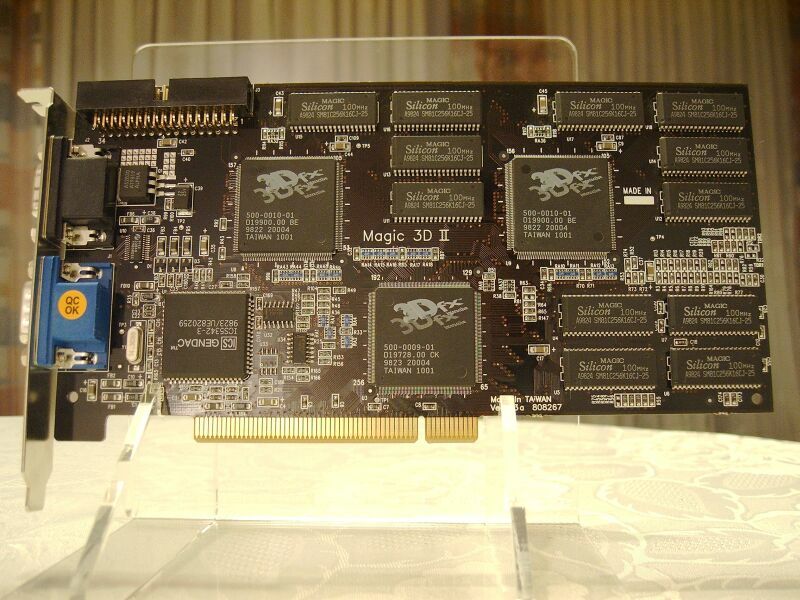 This overheating effect has been observed to a lesser extend with the Voodoo3 as well. 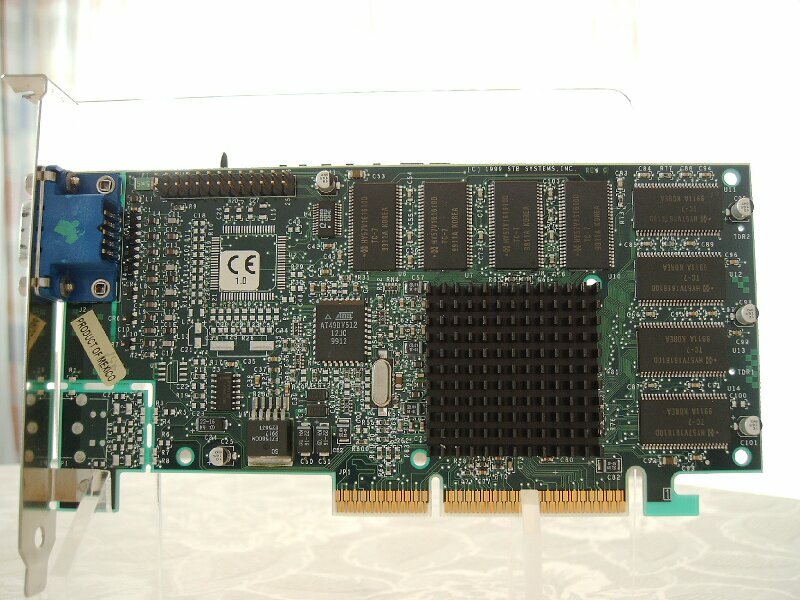 It is assessed to be most critical on passive cooled Banshee Cards, where it can lead to thermal failure within one Minute of operation or less. 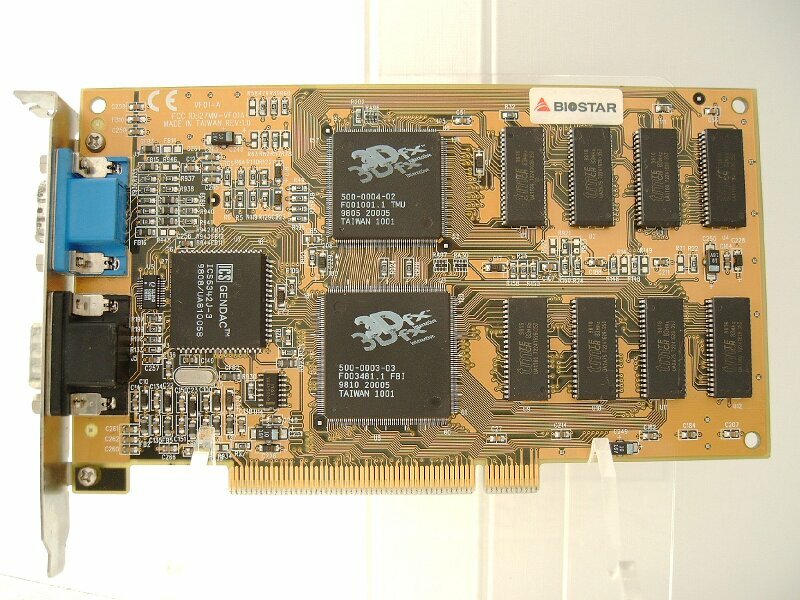 When using a such combination for the first time, leave the Case open and closely monitor Chip/Cooler Temperatures of the Card. 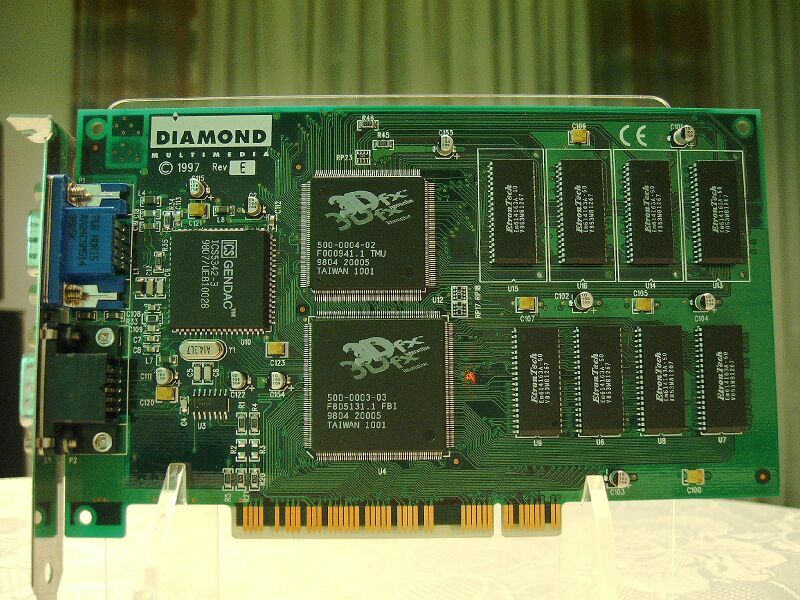 Alot of effort has been made to make the list as complete and correct as possible.